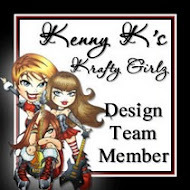 Deb Mitchell's Emerald Faeries Garden Blog: KENNY K CHALLENGE #55- FUN IN THE SUN!!!! 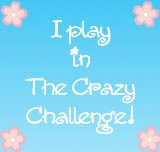 This week's Challenge is called "FUN IN THE SUN"- Anything Goes as long as it is bright & Cheerful! 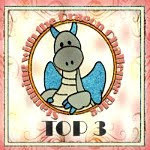 & what an awesome Challenge to take part in- so make sure you jump on over there & enter for Whimsy's Fabby prize- yummy! For my card today I used the Gorgeous "CAPE CANE" Isn't she just positivly Gorgeous! The papers I used are from Lilybee Designs- Picket Fence & I also used a magnolia Dragonfly Cutting Die. I also used a Marianne Collectables Tag Die. A Whimsy Filmstrip Cutting Die with a Whimsy Sentiment Stamp. Vintage Seam Binding, pearls, a metal photo corner & blossoms. The lace type heart is actually 1 that I cut from a cupcake holder from my son's recent wedding- yep I am a hoarder lol! I coloured this Gargeous Babe with Copic Markers. 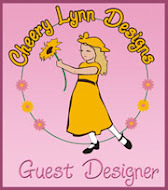 Our wonderful Sponsor for this Challenge is Whimsy Stamps & the Lovely Denise is offering a $15 Gift Certificate- yummy! 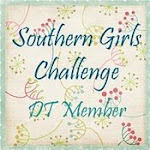 Don't forget to pop by the other DT A Ladies blogs to take a peek at their gorgeius cards too ladies. It's a wonderful card! Love everthing about it. This is really cool card! I like everything - colors, style! Awesome! Wow Deb, gorgeous creation in beautiful colours and fabulous details!!! Wwwooowww Deb, your card is absolutely gorgeous!!!! I really love the colors you used, it looks awesome!!!! Wowww, what a beautiful card is this. 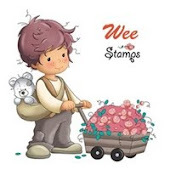 Lovely stamp and i like the colors. Hi Deb. Great card. Love everything about it! Great card. I love the purple and all of the embellies. The sassy lady is awesome. Absolutely beautiful!! Love the colors! Thanks so much for joining us at Papertake Weekly and hope you join us again soon! Hi Deb. 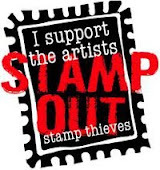 I'm a new follower to your blog and I've been taking a look around, and your cards are lovely. This is absolutely stunning. I love all the details on your card. Hugs! This is fabulous! Thanks for playing along with Frosted Designs. Absolutely fantastic card Deb, perfect for our holiday theme. oh my goshh yes !! definitely positively gorrrgeous !! to die for !! nice colour combo!! this card rrrrrocks !! !